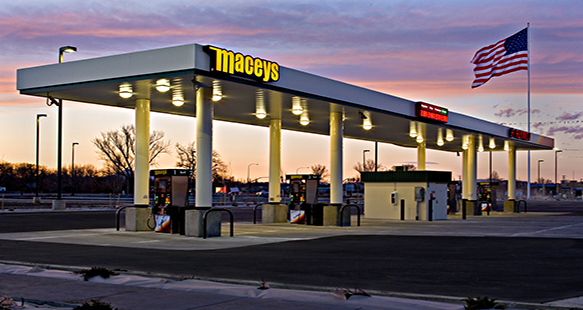 R&O has been building Macey’s Grocery Stores for many years throughout Utah. The most recent grocery store was built in Providence, Utah and is 82,795 square ft. and located adjacent to a growing residential area. R&O completed some value engineering and drainage site work as part of the project. It was important to secure subcontractors early and complete asphalt work before winter conditions set in. 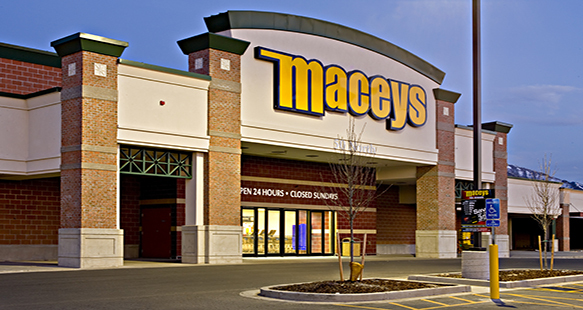 This Macey’s has a deli on the mezzanine, skylights and a front canopy on the exterior. An America First Credit Union is located inside the store.